I can only assume that most X-Men, comic geeks (I use that term affectionately to recognize my kin), and general sci-fi fans were extremely disappointed by the X-Men Origins: Wolverine movie. Like many adaptations, Hollywood strayed too far away from the source material and left us with the husk of what could have been. More to the point, they introduced and set-up Wade Wilson aka Deadpool for a possible spin-off, which had now been "Greenlighted," but pervert him to the point that he's no longer palatable for us. Maybe not. I present to you, The Deadpoool Solution. The concept is really simple. As the movie has said, Wade was the only member of the Team X (Yes, I'm referring to them by their comic name. We keeps it real here in the comic geek hood. Yea! Yea!) that could handle/survive the implantation of all the mutant powers. When did Wade become a mutant? Nevermind. We take the story from Wade's involvement. To do this we have to give him some sort of BS power like hyper-agility, which will explain his sequence in the beginning (I'm trying to stay vague for those of you that haven't seen the movie yet) and will somewhat explain his constant chatter. This power will allow his body to quickly adapt to anything new that has been introduced to it. This is not a healing factor. Wade has been living a quiet life, like the rest of them. Unlike them, he's quickly dying from cancer. An adverse affect of his hyper-agility, rapidly spreading the cancer through his body. Aware of Wade's condition, Stryker approaches him about coming to work for the government again, and offers to find a cure for his cancer. Once Wade agrees to come back in, it all begins. Of course, Wade is completely unaware that Stryker is the one who had him exposed to a cancer-like agent to bring him in. 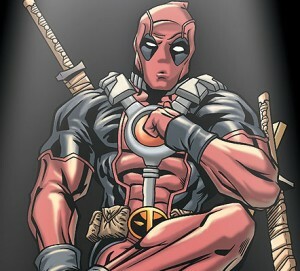 Much like he does with Wolverine, Wade had to come on his own volition. Stryker begins testing his theory by giving him a bit of Sabretooth's healing factor. Once he realizes that his plan will work (Wade's cancer goes into remission), he has Wade placed on continuous sedation and begins with the mutant hunt and other experiments. It's at this time Stryker decides to fuse Wade's mouth shut using acid. (I am aware that the healing factor should prevent this from happening, but it has to be done, and it can't be done prior to getting the healing ability.) He also gets the idea to infuse him with adamantium and decides to test it first on Wolverine; needing his healing factor. Not wanting to lose such a valuable test subject and possible perfect soldier, Stryker has Sabretooth bring him a young man named Jamie Madrox. You may remember Madrox as being poorly written and misplayed in X-Men: The Last Stand. Madrox, also known as the Multiple Man, has the ability to create duplicates of himself. Not clones, but exact duplicates of the original. In the comic, he can't control this ability as his dupes are spawned by kinetic energy and has to wear a special suit which allows him to control if and when a dupe will spawn; still brought about by kinetic energy. You can see where I'm going with this. Stryker has Madrox's ability synthesized to create a duplicate of Wade to do all of his experimentation on. If something goes wrong, he hasn't lost the whole show, and can start over again with another dupe. The synthesized version is a onetime use, with plans to fully infuse the ability in him and create a full army once Deadpool has been perfected. 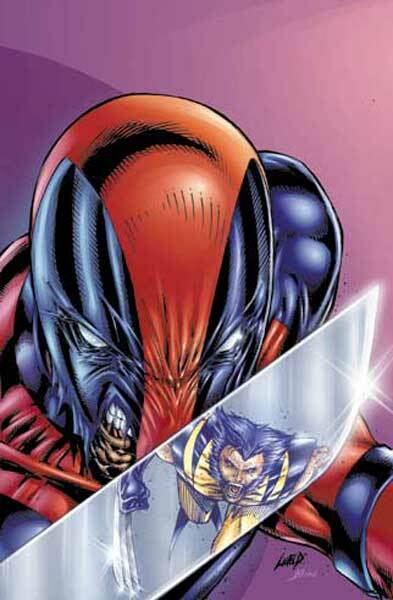 After Wolverine is given the adamantium Wade is infused with Logan's ability and a dupe is created so that they can inject him with adamanium, too. 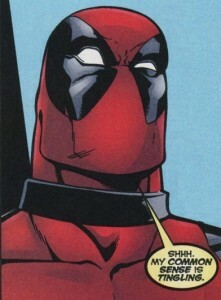 The events of the Wolverine movie prevent Stryker's plans for a Deadpool army from proceeding. Wolverine and Sabretooth fight and kill the Deadpool dupe and the Three Mile Island base is destroyed. Wade emerges from the rubble of the base with no knowledge of the recent events. He knows that he's cancer free, and that he has a healing factor now. He slices his mouth open so he can talk, and covers his disfigured face with a scrap of cloth he finds. So begins the Deadpool movie. Now, to help push him to that edge-of-sanity Deadpool we know from the comics, we can have him find the disembodied head of his dupe. Not knowing how of why he's looking at himself decapitated, his mind would start to warp a bit. To do this, we scratch the stinger ending with Deadpool (since not everyone gets to see it, it's easier to do away with) and use this. Trying to use the extra ending creates additional problems we don't need; all the extra powers and 2 foot non-retractable adamantium claws would dilute the true character and weigh down the story.